It's easy to get cynical about the internet, but sometimes the online community comes through to make people's adorable dreams come true. 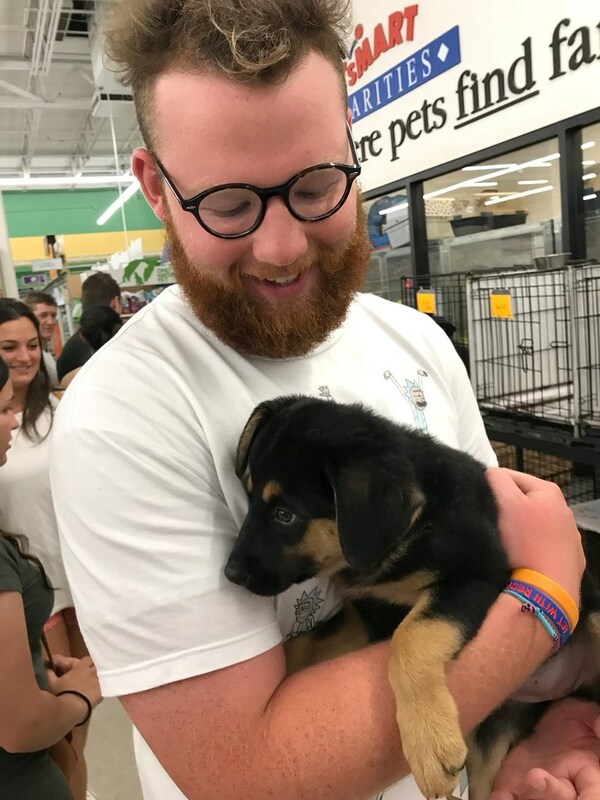 Just a few short days ago, a young man named Ryan Sesselman found himself in a PetSmart when he came face to face with an adorable German Shepherd puppy. Most of us know the feeling of love at first sight, and that's certainly what happened to Ryan. The only problem? Despite his husky, bearded appearance, Ryan is only 19 and you have to be 21 to adopt a dog. So, he had to ask his mom for help. It would seem that Ryan was inspired by a campaign he'd seen on Twitter recently, asking for retweets in exchange for a dog. So Ryan took his shot and asked his own mom what it would take to get her to say "yes." Where some people might have taken that as a "no," Ryan wasn't about to abandon his dreams. After all, if that Carter kid could get a lifetime supply of nuggets from Wendy's from retweets, then surely getting this puppy would be doable. Some people had their doubts about Ryan's campaign, worrying that he was just doing this for attention or that he was rushing a big decision to adopt a dog. He assured everyone that no way, no how, and that this dog was going to be in good hands if he managed to pull this whole scheme off. As of this writing, Ryan has passed his goal, with an extra 50,000 or so retweets to spare. His mom seems to be true to her word, and Ryan already has the perfect name picked out. We're not quite at the fairy tale ending yet, but soon enough, we should be seeing images of the two new best friends united at last. For now, we'll just have to be happy with the knowledge that sometimes the internet is just plain good. Be sure to SHARE this story with anyone who could use a boost!